honey goat cheese salad dressing. As you know, I am a big fan of making my own salad dressing. I rarely, if ever, buy bottled dressing – though there is a lone bottle of ranch in my fridge just in case. You never know when you might need it, is all I’m saying. I have gotten where I just mix a teaspoon each of dijon and honey and two tablespoons each of balsamic and oil, but sometimes I want to do something a little different. Enter the honey goat cheese dressing. One of the last times I made this salad, a friend of Matt’s was over for supper. When he went back for seconds, it was not for whatever else I fixed that night, it was for SALAD. If that’s not a ringing endorsement, I’m not sure what else to tell you. In a small bowl, mix together mustard and honey. Whisk in vinegar, and then slowly whisk in oil. Pour dressing into a small mason jar, add goat cheese and shake to combine. Season with salt and pepper. 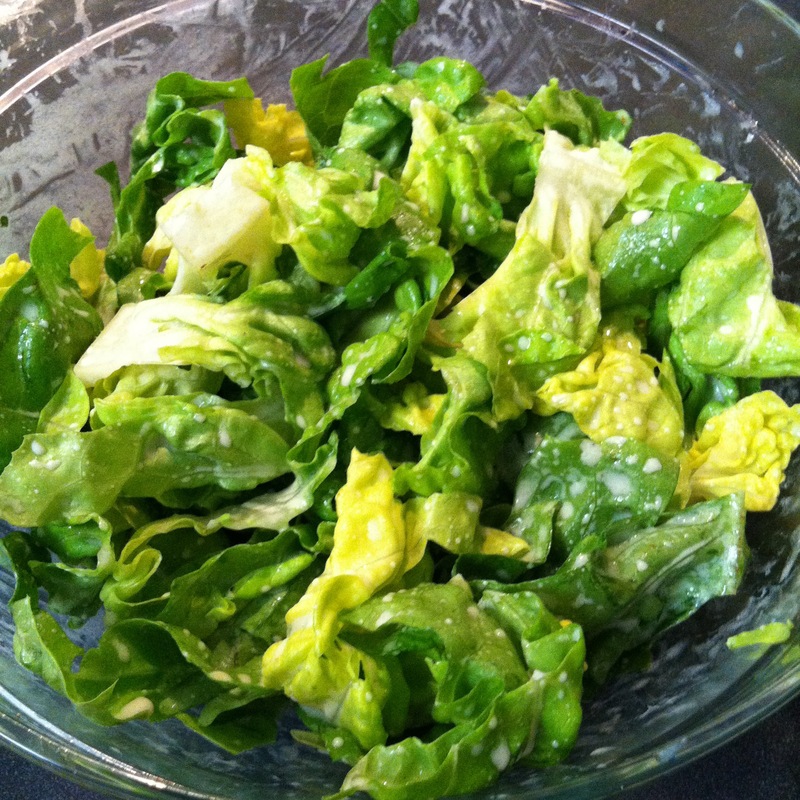 I rediscovered bibb lettuce around the time I discovered this dressing, and I think they are a great pair. How many ways can I find to dress a salad? Ok, I LOVE goat cheese and I love salad so I am definitely making this!